As early as 1913, the building's facade was dark with city grime, as is evident in the photograph at the left. Workers used a scaffolding system to clean the terra cotta tiles with a combination of the popular household cleaning agent Gold Dust washing powder and sand grit. 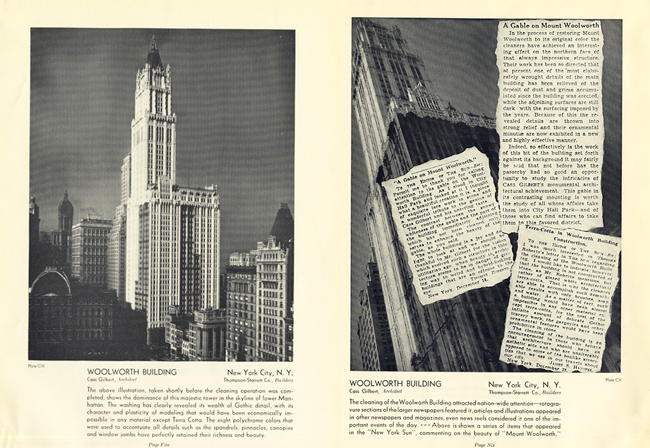 In 1932, the Atlantic Terra Cotta Company carried out a second comprehensive cleaning campaign of the Woolworth's facade. The images above show the level of soiling the building had accumulated less than twenty years after completion. 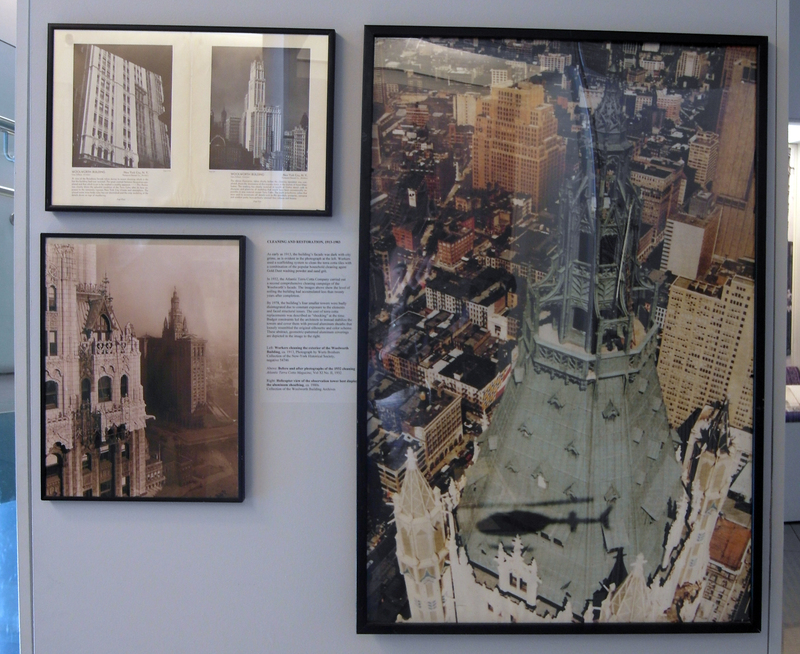 By 1978, the building's four smaller towers were badly disintegrated due to constant exposure to the elements and faced structural issues. The cost of terra cotta replacements was described as "shocking" at the time. Budget constraints led the architects to instead stabilize the towers and cover them with pressed aluminum sheaths that loosely resembled the original silhouette and color scheme. These abstract, geometric-patterned aluminum coverings are depicted in the image to the right.